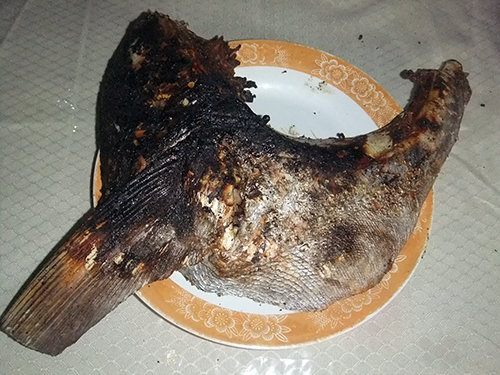 We had a heavy lunch last Sunday all because someone requested for grilled fish and squid. I was only planning of grilling squid but thought of including Salmon fish for variety. I also end up steaming a kilo of small alimasag. We had a mini seafood feast. I’m happy to discover that my son loves the grilled squid and because of that I might prepare the same dish this weekend. Do I hear a cheer of approval here? I thought someone resonate a big yes using the preamp tubes. This entry was posted in Sea Food and tagged grilled salmon, grilled seafood, grilled squid, seafood, steamed alimasag on March 31, 2016 by Yami. Here’s one no-meat dish that you can prepare for the Holy Week. I have yet to try cooking this recipe, but I’m sure your kids will love it. 1. In a bowl, combine flour, Maggi Magic Sarap, salt and pepper. 2. Pour in water and beaten egg. Mix thoroughly to combine. 3. Add grated papaya and togue. Continue mixing until mixture is blended enough to be formed. 4. Form mixture into patties of desired size. 5. Heat oil. Top each uncooked patty with a few shrimps before frying. 6. Fry in hot oil until crispy and golden brown. Drain okoy on paper towels to remove excess oil. Serve with vinegar dip on the side. This entry was posted in Recipe and tagged crispy okoy, crispy papaya okoy, okoy, papaya okoy, woodrose recipe on March 24, 2016 by Yami. 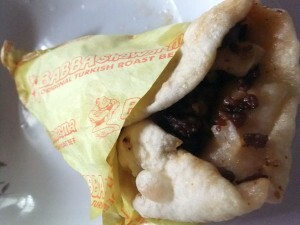 I got a warm shawarma from my husband the other night. He was so sweet to buy me my favorite! It’s been weeks since I had one. It’s the tender and juicy beef and the spicy ingredients that made me fall for this flavorful snack. Thinking and writing about it now makes me crave for more. I wish I will have one again tonight or, better yet, learn how to prepare shawarma at home. Have you tried preparing shawarma at home? This entry was posted in Favorite Food, Snacks and tagged beef shawarma, shawarma on March 3, 2016 by Yami.